It is with great sorrow that the Association for Public Art (aPA, formerly the Fairmount Park Art Association) recognizes the passing of Gregory M. Harvey – lawyer, activist, public art advocate, and bulwark of our organization. Mr. Harvey was a partner at Morgan Lewis & Bockius for more than thirty years, and then he joined the law firm Montgomery, McCracken, Walker & Rhoads. 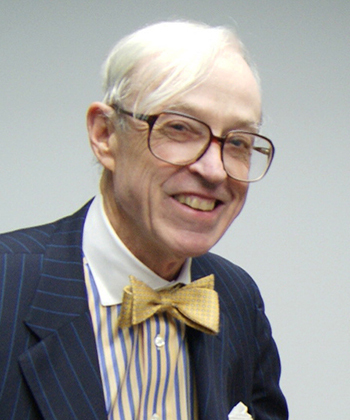 He worked tirelessly as an election lawyer for decades; and he was a leading expert in campaign finance, ethics, and the First Amendment. Mr. Harvey showed the same dedication to our organization, serving as a Trustee of aPA for thirty-eight years, including terms as aPA Vice President for sixteen years and Secretary for four years. “He was really dedicated to civic space and the idea that public art is for everyone, which is consistent with his ideas about public life,” said Penny Balkin Bach, Chief Curator & Executive Director of aPA in a recent interview for The Philadelphia Inquirer for Mr. Harvey’s obituary. Mr. Harvey held great enthusiasm for public art in Philadelphia. Notably, for many years, he served as a trustee for the William M. Reilly Memorial – a group of six monuments honoring Revolutionary War Heroes, located in Fairmount Park, northwest of the Philadelphia Museum of Art at Waterworks Drive. He was also involved with the Association for Public Art’s International Sculpture Garden, serving as chair of the Penn’s Landing Committee, where the works were originally placed. The International Sculpture Garden collection was conceived by the Fairmount Park Art Association (now the Association for Public Art) in the 1960s and includes a group of significant objects from diverse cultures. As conditions surrounding the garden changed dramatically in recent years, most of the sculptures have been removed for conservation treatment and placed in storage, pending selection of a new location. Mr. Harvey, the son of two artists, worked in other ways to protect public art in Philadelphia. He and his wife suggested to John Updike that the honeymoon couple in The Beauty of the Lilies visit The Dream Garden, the Maxfield Parrish/Tiffany mosaic in the Curtis Center near Independence Hall. Updike’s lyrical description was quoted by Ms. Bach during the successful litigation that helped keep The Dream Garden at its current location in Philadelphia. Mr. Harvey also worked with the late Anne d’Harnoncourt to keep Augustus Saint Gaudens’ Angel of Purity and Thomas Eakins’ The Gross Clinic in Philadelphia. According to Emily Mitchell Wallace, his wife for forty-nine years, her husband was indispensable as a research and technical advisor and photographer to her keynote lectures on modern poetry and the visual arts at international conferences.